CAREER HIGHLIGHTS Mertens joined Volvo in 2011 after spending a year as Jaguar Land Rover's board member for corporate quality. Prior to that Mertens worked for eight years at General Motors in Europe, rising to global vehicle line executive, a job he held from 2005 to 2010. He also worked for Daimler for six years in the 1990s. REASON FOR WINNING: When Mertens arrived at Volvo five years ago his team felt it could not adequately compete against Audi, BMW and Mercedes-Benz. 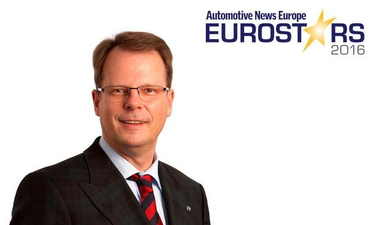 Now Volvo has Europe's No. 1 premium midsize SUV, the XC60, and the new-generation XC90 is in a close battle with the BMW X5 for the No. 1 spot in Europe's premium large SUV segment. The XC90 has also been a hit with critics, winning more than 100 global awards in a little more than a year, including 2016 North American Truck of the Year.